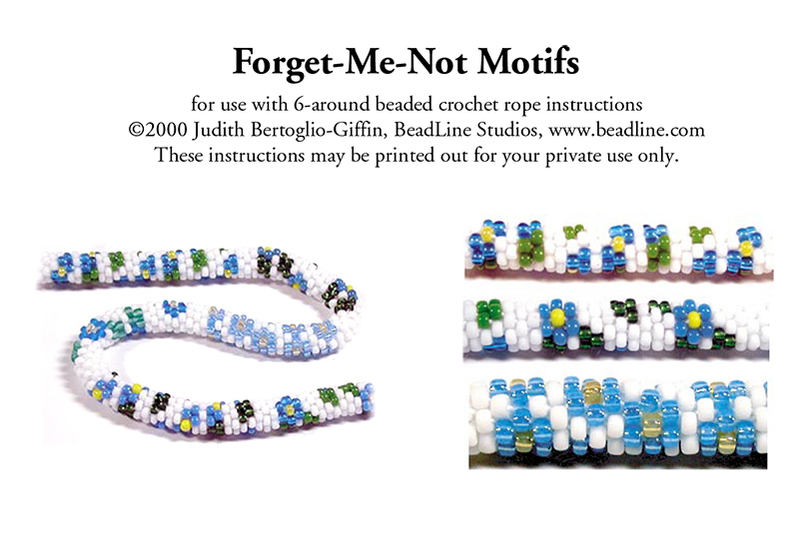 Here are 3 different forget-me-not motifs for Spring wear. This pattern includes graphs, photos & instructions for making a "sampler" bracelet. The photos of crocheted samples shows the effect of using different types/finishes of beads. Stitch is 6 around Bead crochet. Finishing details and stitch instructions are not included.